Go beyond the ordinary and experience your education the way you imagine. Evergreen is your way to the world. College should be your time and space to dig deep and dream big. 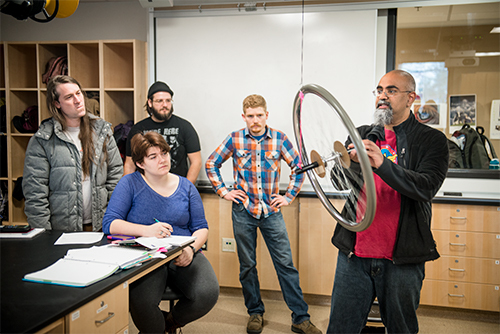 At Evergreen, we go beyond majors and minors. Here you can layer your interests, choosing from more than 60 fields of study to create your own area of emphasis. The best part? All of your credits will count toward your Bachelor of Arts or Science, and you’ll learn, grow and explore as you do it. Enroll in a single full-time program that layers multiple fields of study, instead of taking separate classes. Or combine a part-time program with a single-subject course. Browse our catalog to find offerings that suit your interests. At most schools, you are what your grade-point average says you are. At Evergreen, we use context and explanation to evaluate performance, not a simple letter grade. (Kinda like the real world.) Detailed evaluations highlight your work and provide specific examples of your progress. 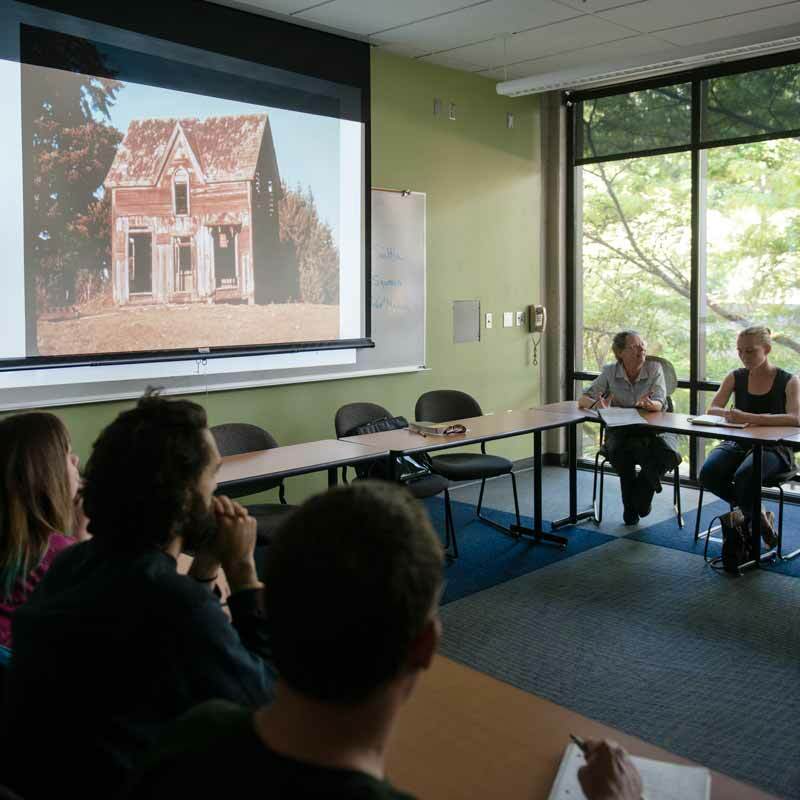 Not only do faculty provide critical evaluations, but you’ll also create a self-reflective Academic Statement which acts as your blueprint to your degree. You’ll use this document to record your achievements and refine your area of emphasis. See how your work gets evaluated. Our three grad programs are grounded in values of service, community, social justice, and stewardship. 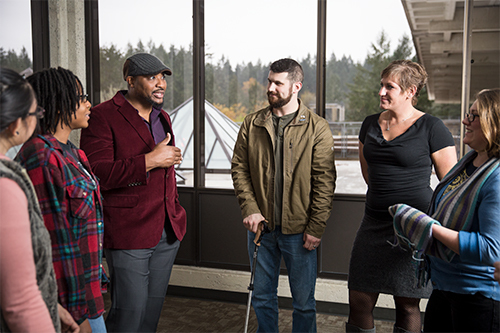 Want to experience Evergreen’s one-of-a-kind campus and learning community firsthand? Ready to join us at Evergreen? Great! Find out what it takes to be a Greener. Get an overview of what the academic year will look like. See the Registration site for additional policies and procedures.